EdgeLink would like to thank all applicants, however only those who qualify for an interview will be contacted. EdgeLink is an equal opportunity employer. James is a Senior Technical Recruiter at EdgeLink, who is dedicated to helping people meet their career goals. 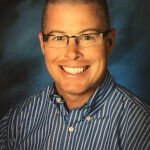 Prior to his career as a recruiter, James spent nearly a decade in public education as a teacher, coach, and administrator. After receiving his B.S. in History from Eastern Oregon University and two masters degrees from the University of Nevada Las Vegas, James returned home to Portland with his wife Heather, daughter Hannah and son Matt. James is thrilled to be on the EdgeLink team because of our impeccable values and commitment to providing exceptional experiences to all. James strives to be an unwavering partner and advocate for his candidates, keeping their needs, desires, and ambitions at the center of his focus.